Men struggle with mental health issues. It’s something that always seems to come as a bit of a surprise or even a shock to people I talk to – usually people who have little to no experience with mental health. Even today in 2018, conditions such as depression, anxiety, anorexia and bulimia are considered to be women’s conditions. People don’t often stop and think that actually it can affect men as well. So I’ll ask again: does that surprise you? If it surprises you that men struggle with mental health issues, this next piece of information might surprise you even more. In 2013, 6,233 suicides were recorded for the UK. These were for people aged 15 and older. As if that wasn’t shocking enough…78% of these were men. And yet…we hardly ever talk about it. In some ways, it’s a bit like the film Frozen. Just as Elsa, the protagonist, is told to keep her powers hidden – “don’t let them in, don’t let them see, be the good girl you always have to be. Conceal, don’t feel, put on a show, don’t let them know.” – we, as men, are also taught to keep our mental health conditions hidden. Admittedly, this “rule” that is enforced with us is done subliminally, as opposed to Elsa’s parents actually telling her to keep it concealed. We men (and boys as well) are almost conditioned silently by society. It’s all part of the image that is built up: we are the strong ones, the protectors, the hunters (in archaic terms) and the breadwinner. We cannot afford to appear weak or broken in any way. Take me as an example. My name is Alex, I’m 27-years-old, I’m step-father to a 4-year-old girl and a 16-year-old boy, I’m a blogger, author, musician, speaker, avid gamer…and yet I struggle with my mental illness. And I have Borderline Personality Disorder. But if you look at the picture of me, you wouldn’t be able to tell. Why not? Because I’ve become a master of disguise, so to speak. With the increasing pressure on men to keep their mental health conditions under tight wraps, I’ve become brilliant at hiding it. To me and a lot of others, it is necessary. Society tells us that that is the way it must be. Let me take you back a few years, to 2016. I was working for a bank, on the phones as the frontline customer service. One of those jobs where you phone up the bank, you speak to the first person who picks up who will deal with your enquiry or send you through to the team that can help. Basically a glorified switchboard. I dealt with current accounts, basic credit cards, savings accounts, basic loans and other general enquiries. It was a relatively thankless job, taking anywhere between 100 and 150 calls in a standard 8-hour shift. My mental health started to suffer. The pressure that we are put under to answer the calls quickly and efficiently, taking as many calls as we can until we reach a breaking point was unreal. Managers didn’t care how well the calls were answered, as long as they were dealt with. If we were struggling, well that was too bad and we should continue answering calls. If we weren’t well enough to do that, then we shouldn’t be in the office. Now as you can imagine, it was a struggle for me. Already feeling as though something was wrong, then having that additional pressure, then hearing that people were being told if they weren’t well enough to be there, then they should go…it started worries in my mind. Could I afford any time off? Would I lose my job? Would I be able to continue paying for my flat. And still the pressure kept mounting. And I’ll be honest: it broke me. September 2016, I was diagnosed with depression and anxiety. It took a lot to get me to the doctor, and then even more to eventually tell my manager at work about it, as you’re supposed to. I don’t even know why I’m surprised, given how the place was run, but the support wasn’t great. I continued to struggle into work, each day getting harder than the next, pretending like everything was fine. After all, I was a man. I wasn’t supposed to be weak. Moreover, no one understood what I was going through anyway. A man with depression? And anxiety? That’s a ludicrous suggestion! Especially as I had nothing to be depressed about. Struggling through each day and continuing to push myself was the worst decision I could have ever made, though. In the January of 2017, I was signed off by my doctor as unfit to attend my job. Unsurprisingly, it didn’t take long for them to decide that keeping a temporary worker on sick pay was not worth their while, so they terminated me. March 2017. That was the day I officially lost my job. I’ll be honest, though: it was a revelation. I knew that something had to be done about the way I had been treated by managers who had a responsibility towards me, a duty of care for me as an employee. Awareness had to be raised, stigmas had to be eradicated and I could play a part in that. So it was that I turned a corner in my mental health journey. August 2018, as I sit writing this, and I’m a full-time blogger, podcaster and YouTuber. I run www.pushingbacktheshadows.com, a website dedicated to supporting those with mental health issues but also bringing information and support to the friends and family members of such people. After all, friends and family members don’t always know what to do either. We make contact with thousands of people a month, trying to bring about the change we want to see in the world. Because men suffer with mental health just as much as women. Worse, in some cases, as we feel as though we’re not allowed to show it. But the truth is we are allowed to suffer. It’s OK not to be OK. Why? Because everyone goes through dark times. We don’t always have to have it all together. So if you’re reading this and you feel like you’re struggling, get in touch. I’m happy to help. If I can’t help, I can signpost you to someone who can. 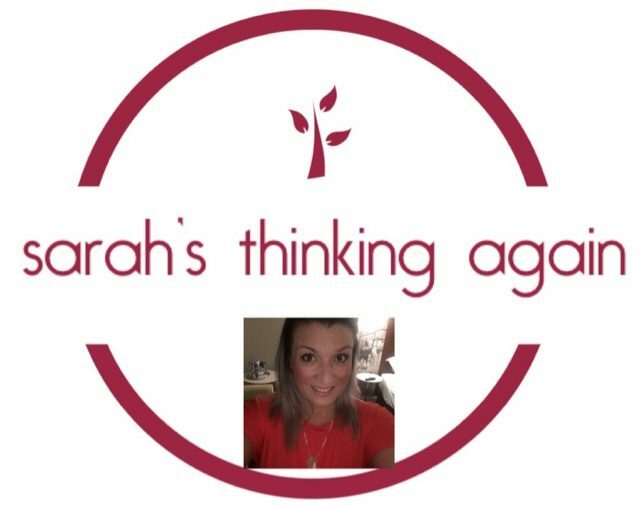 People like Sarah Cardwell and other mental health advocates, or official services like Mind.org.uk and others. Remember you’re not alone and it’s OK not to be OK. Don’t be like me, continuing to push through when I actually needed help. Reach out and remember that you’re allowed to ask for help. You don’t need permission to do so, or to be broken. We are men and boys and we suffer with mental health conditions too. And sometimes we just need someone to tell us it’s OK to admit it. Previous postPublications, nominations & endorsements! Next postSuicide isn’t selfish – the system is biased! Alex and Sarah, thank you for the blog post. My finance, Bob, and I have been together for many years. He suffers from undiagnosed BPD. As someone who loves him very much, it is difficult for me to deal with his over reactions to minor insignificant disagreement. If you could provide me with insight into how to communicate with Bob and what he might need from me when he experiences emotional overreactions and then the proceedings withdrawals that occur afterwards. Without Bob acknowledging that there is a problem, the only advise that I’ve been given by the mental health field is to leave him if I want a better quality of life for myself. I’m a strong woman but the overreact leaves me feeling abandoned. He has not spoken to me in 4 days. I believe the minor comment that he overreacted to is a foundation upon which he is building a case against me that I am unworthy of his love and affection. When and if he comes around, the incident will never be spoken about because he can not accept that it was his overreaction that changed the course of our evening out 4 days ago and is changing the course of our lives in the present. Sarah, it’s obvious that you acknowledge your behavior now. Was there a time when you did not acknowledge your overreacting emotions? And if so, what did your spouse or significant do or say the eased the situation? Or what would you have liked to have heard or have done to smooth over the rough patch created in the wake of the overreacting emotions? Oprah says there are no coincidences. Finding your article on FlipBoard brought me to your blog and for that I am extremely thankful. It’s been an honor to communicate with you. Recently, I discovered a book by Susan David called Emotional Agility. I found out about this book by listening to a podcast by Rob Bell where Susan was a guest. She has also done a TedTalk even though I found her Rob Bell podcast a more personal representation of her ideas. Her book maybe helpful to you. I know it has been for me. I would still be interested to know if your husband helps ease the situation by saying or doing something to bring you peace so that your relationship can continue to florish. I’m going into day 7 of the silent treatment so I have yet to find the opening to move us toward resolution.